When doctors discover high concentrations of regulatory T cells in the tumors of breast cancer patients, the prognosis is often grim, though why exactly has long been unclear. Now new research at the University of California, San Diego School of Medicine suggests these regulatory T cells, whose job is to help mediate the body’s immune response, produce a protein that appears to hasten and intensify the spread of breast cancer to distant organs and, in doing so, dramatically increase the risk of death. The findings are reported in the Feb. 16 advance online edition of the journal Nature. The researchers found that mice with breast cancer were more likely to develop metastatic lung cancer due to elevated levels of RANKL, an inflammatory protein normally involved in bone remodeling. The scientists also determined that interfering with the ability of RANKL to interact with cancer cells seemed to block tumor progression, and may represent a potential target for drug therapy. “What is exciting about this study is that now that we understand an increase in RANKL translates to an increase in metastasis, we can get to work on figuring out ways to stop or slow the production of RANKL in breast cancer patients,” said Michael Karin, PhD, Distinguished Professor of Pharmacology and Pathology at UCSD's Laboratory of Gene Regulation and Signal Transduction and Moores Cancer Center. RANKL is a well-known factor in a variety of degenerative bone diseases, including rheumatoid arthritis and bone metastasis. In June 2010, the Food and Drug Administration approved the first RANKL-inhibiting drug for use in postmenopausal women at risk for osteoporosis. Other breast cancer studies have linked RANKL to early stages in the development of synthetic progestin-driven breast tumors. According to the Women’s Health Initiative and the Million Women Study, hormone replacement therapy and contraceptives with progestin significantly increase the risk of developing breast cancer. The findings from these studies and the new UCSD research suggest that drugs that block RANKL may be effective in preventing both the early stages of breast cancer and the advanced progression of the disease. 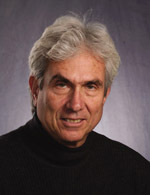 Collaborators on the study are first authors Wei Tan and Weizhou Zhang, Amy Strasner and Sergei Grivennikov, UCSD Laboratory of Gene Regulation and Signal Transduction; Jin Q. Cheng, Department of Molecular Oncology, H. Lee Moffitt Cancer Center, Tampa, Fla.; and Robert M. Hoffman, AntiCancer Inc, San Diego. The research was supported by the National Institutes of Health, Susan G. Komen Breast Cancer Foundation and Crohn’s and Colitis Foundation of America.